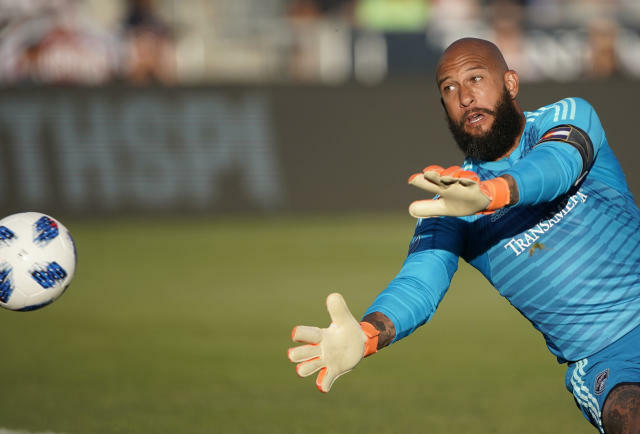 Colorado Rapids and former U.S. national team goalkeeper Tim Howard says this season will be his last in Major League Soccer. Howard made the announcement on social media Tuesday, a day after the Rapids reported to training camp. "I'm greatly looking forward to kicking off the 2019 MLS season, as it will be my LAST. There will be plenty of time for sentiment later. For now, I am going to enjoy every minute. And as I've always done, compete hard and help lead the Rapids with the sole purpose of winning," he posted to Twitter . Over the course of his 21-year professional career, the 39-year-old spent 13 seasons in the English Premier League with Manchester United and Everton. He was Premier League Goalkeeper of the Year in 2004 while with Manchester United. In addition to the Rapids, Howard also played with the MetroStars (1998-2003) in MLS. Howard's announcement formally confirms the speculation that surrounded Howard last season. "It's a decision I've been very comfortable with for quite a long time in my own head, and my heart," he said on a conference call with reporters. Howard made 121 appearances with the national team, starting for the United States at the World Cup in South Africa in 2010 and again in Brazil in 2014. He was the backup to Kasey Keller for the 2006 World Cup in Germany. His most memorable game in soccer's most prestigious tournament came in Brazil, when he made a tournament-record 15 saves in a loss to Belgium in the round of 16. Howard holds U.S. men's national team records for most appearances and wins, with 62. He also had 42 shutouts. He was honored as CONCACAF Goalkeeper of the Year three times. Howard has made 75 appearances with the Rapids since joining the team in 2016, compiling 257 saves. "It seemed like the right time," he said about his retirement. "I kind of always had my sights set on this, and there's other things I want to do. For a lot of those reasons I wanted to make sure this would be the end. In terms of timing it makes a lot of sense to do this now before the start of the season and kind of get that out of the way so it's not a distraction. That's what's most important to me. "